Taking place between Thursday 30 August and Sunday 2 September on the Frisian island of Vlieland, Dutch festival Into The Great Wide Open has all the makings of a utopia. Each and every year, it manages to sell out faster than warp speed, and one of the reasons could be the festival’s strong emphasis on the family experience. The beautiful natural scenery is interwoven with visual art, theatre, outdoor activities, and film – the type of festival one visits to decompress rather than act out, preferably with the kids. But that doesn’t mean there’s no acting out to begin with. As far as Into The Great Wide Open’s musical program goes, the festival faces the annual challenge to appease both casual visitors and die-hard heads. This year, they unpack what has to be one of its most impressive line-ups to date. On Thursday, the organisation handpicks Belgium’s favorite rock charlatan Mauro Pawlowski to scramble things into utter disarray. Alternately, indie pop prodigy Lindsey Jordan, aka Snail Mail, offers tight atmospheric tunes, spurred by a maturity far beyond her years. Then there’s Canadian powerhouse METZ, fully evolved from post-grunge juggernaut to a more dynamic unit, one that indulges in minimalistic, eerie calms as well. Indeed the following three days are riddled with eclectic live music, ranging from veteran indie stalwarts Destroyer and Yo La Tengo, burgeoning Dutch tricksters Canshaker Pi and Pip Blom. Jam band scorchers White Denim, incendiary rap poet Ray Fuego, post-punk firebands Protomartyr, avant-pop luminary Julia Holter and of course Wilco’s Jeff Tweedy are all pretty safe bets to enthrall and move in one way or another. But, to trim things down a bit, let’s select eight acts worth catching this coming weekend. Big Thief’s heart-rending symbiosis of wiry indie rock on rootsy folk makes you believe again that guitar-based music has plenty of unexplored depths still to cover. Like a tightrope dancer skipping above a dangerous gorge, Adrianne Lenker’s velveteen voice both captivates and unsettles with piercing fortitude, escorting the listener through life’s most candid chapters. Big Thief’s undercutting tension becomes even more palpable on stage. After a productive twenty-plus years of amassing a steady cult following, American songsmith Damien Jurado has opted to take matters into his own hands this year. After a fruitful five album run with the late great producer Richard Swift, new LP The Horizon Just Laughed finds Jurado abandoning the Zionic bliss of Maraqopa to return amidst the earthbound strife and confusion. By nature, Jurado’s peerless craftsmanship touches base with the more rootsy warmth gospel and soul. The Ex have defied categorization ever since their inception in 1979, becoming of those rare live bands who have only become better with age. Born out of the punk explosion, the Dutch quartet retains its infectious curiosity and passion for music of all shapes and sizes, seeking out collaborations with jazz improvisers, Ethiopian performers, and like-minded noise explorers. With new album 27 Passports out into the world, The Ex continue to stand tall as one of the most forward-thinking and tireless bands on the planet. London-based producer and multi-instrumentalist Alfa Mist grew up around grime and hip-hop but promptly found himself in the slipstream of jazz and experimental music. His 2017 album Antiphon employs moonlit keyboard flourishes, a super crisp rhythm section and soothing brass never sacrifices immediacy for obfuscation. This music nestles into the brain’s pleasure zones with the same satisfactory progress as watching your favorite dish get prepped by a pro chef. As far as experimental music pioneers go, few are as likable and inquisitive as Volker Bertelmann, better known as Hauschka. Where most peers might drop in the pitfall of cerebral fiddling, Bertelmann always manages to inject a sense of wonder, wit, and levity into his otherworldly performances. Hauschka’s latest record is called What If, which is as self-evident as you can get; when it comes to playing the prepared piano, his job is indeed ‘what if’. Producer and musician Kelly Lee Owens is a cosmonaut in her own self-shaped zero-gravity space, a continuum where machinery and ambiance swell and orbit. Owens shapes this pliable universe to her own liking, forming a twilight between mid-tempo dream pop and nimble acid house. In any case, her brilliant eponymous album reconfigures both icy and thermal textures to compose supernatural, nurturing music for both body and spirit. What started out as an impromptu vehicle for musician, visual artist and author Michelle Zauner to process her grief, quickly mushroomed as a full-on band that injects her many sonic and visual influences. Japanese Breakfast’s debut Psychopomp is a sweeping shoegaze/indie pop incursion that needs less than half an hour to capture the full gamut of emotions. Brilliant follow-up Soft Sounds From Another Planet unburdens Zauner’s mortal distress like a heroic space adventure. 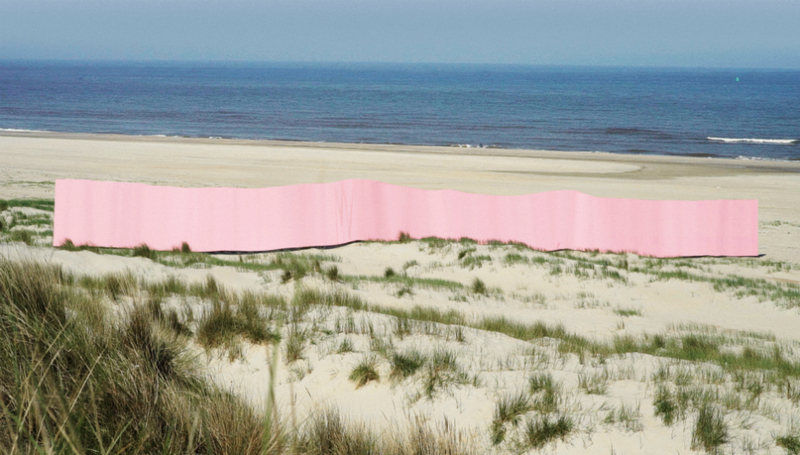 Into The Great Wide Open takes place in Vlieland, The Netherlands, from the 30 August to 2 September. For more information about the festival, including stage times, please visit their official website.